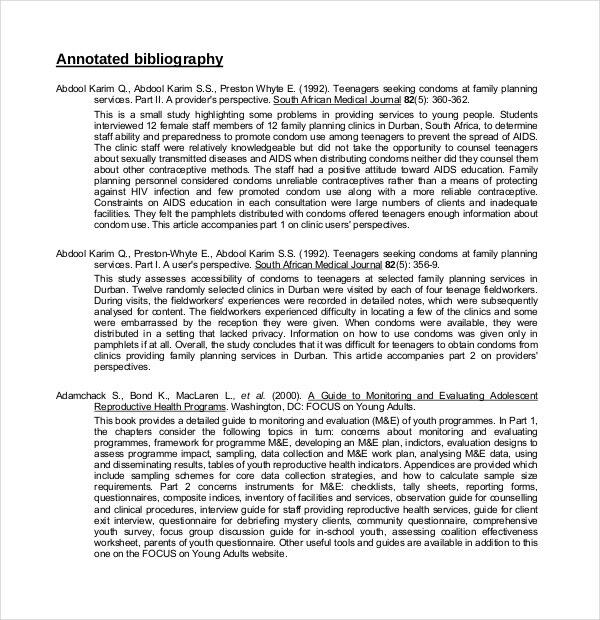 Free annotated bibliography can be downloaded online for any formats of a bibliography that may be suitable in your work. 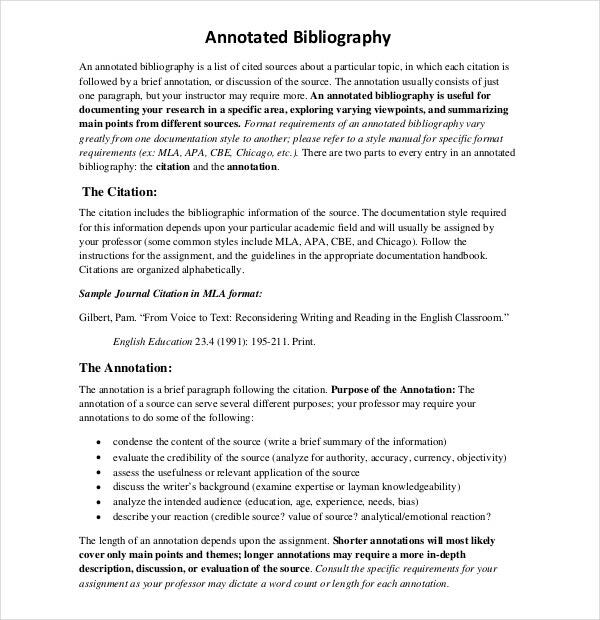 You can select and apply your ideal bibliography layout in your work with this file like the simple annotated bibliography in example format. It will provide you the commands in creating your chosen style from paragraph layout, fonts, headings etc. 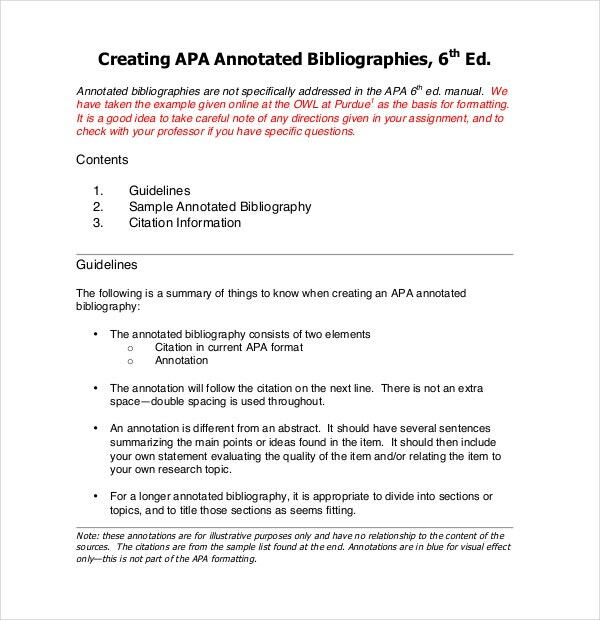 You can alse see MLA Annotated Bibliography Template. 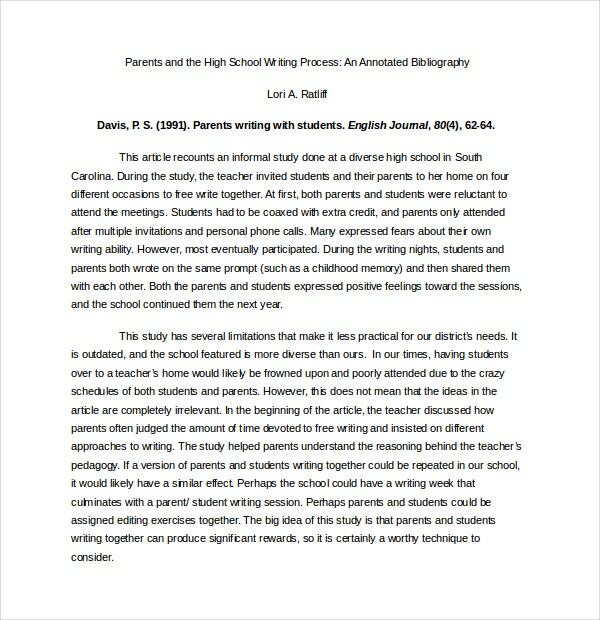 This open program is helpful for starting writers that will make their primary literature, it can offer you a lot of samples for the citations that will recognise all of the documentaries, movies and journals so others will know how important those reference are. 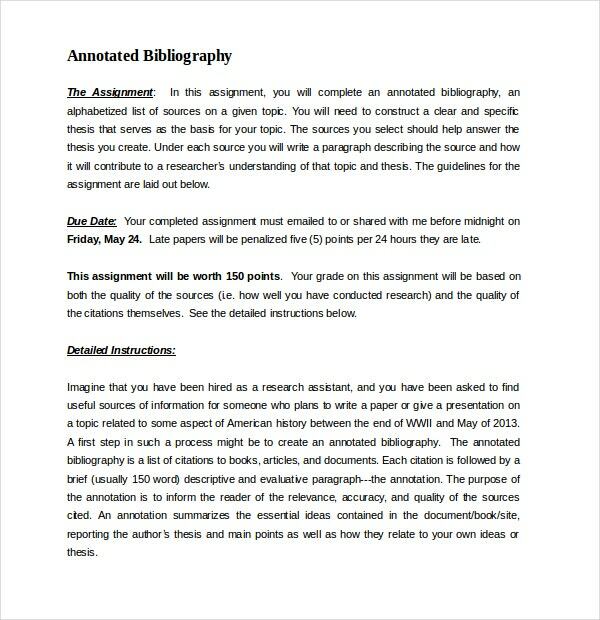 You can also see Annotated Bibliography Templates. 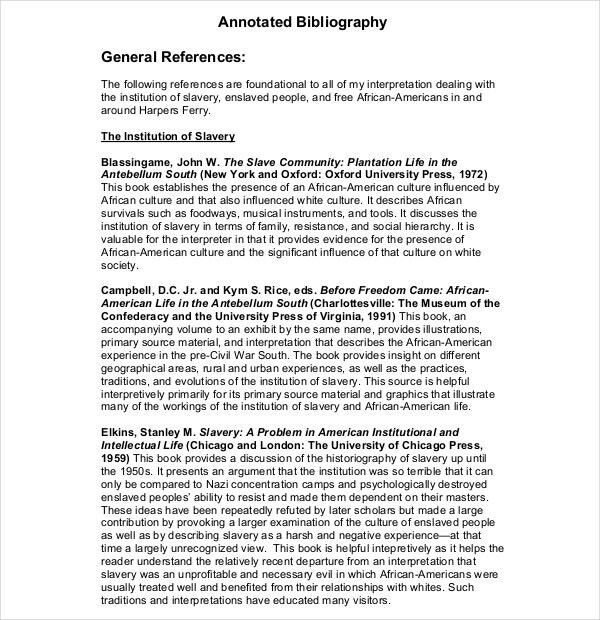 The free annotated bibliography can be included into a variety of projects. Some of these include research reports, medical journals, journals, magazines, books, school and college projects and reports, compilations and various other relevant documents and projects that require thorough study and completely accurate information. There are two main purposes behind which compilers, researchers and writers include annotated bibliographies to their projects and reports. 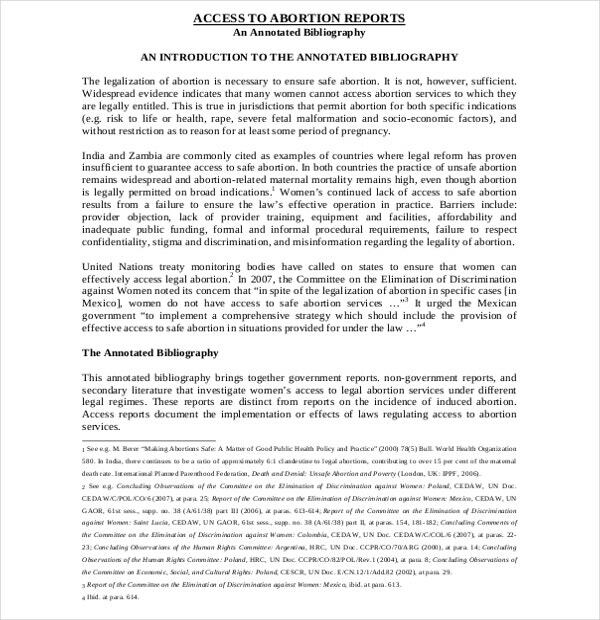 The first purpose behind the inclusion of the bibliography is to give the reader a reason to believe that the information and statistics added to the reports or books have been extracted from a credible source. If there was no bibliography included, the reader would wonder whether the information provided by the author or researcher is authentic or not. Another purpose with which people add bibliographies to their works is to avoid being labelled as plagiarists. Imagine if you added some information from another book or source without including the details of the same in your bibliography, if the reader comes across the original source, he or she will think that you’re a plagiarist. 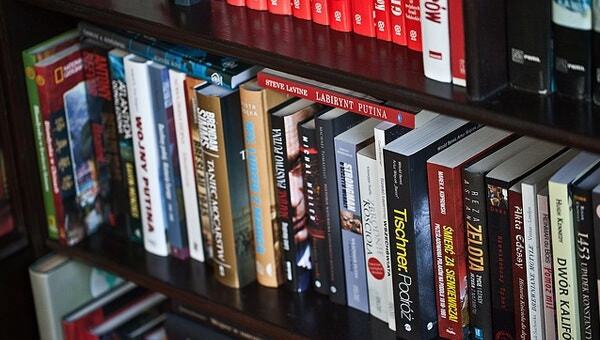 Adding a bibliography to your project can be extremely beneficial to your readers. This is because readers who wish to further research on the topic, can go back to the links and original sources that are provided in your bibliography for more information and study. 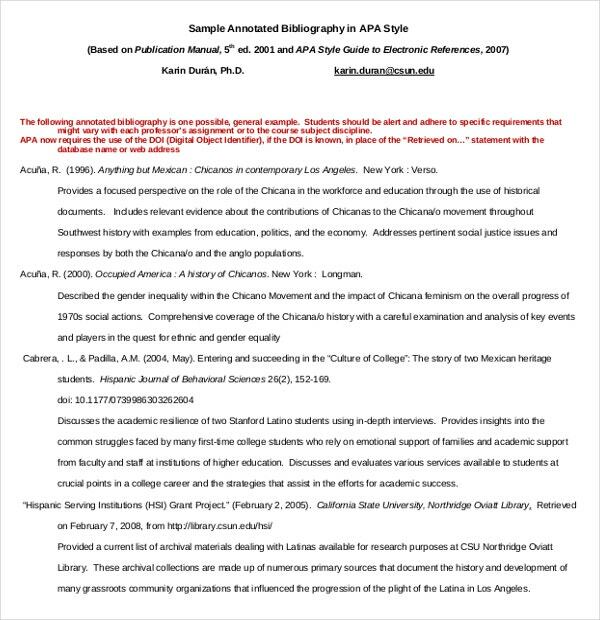 A bibliography needs to have citations and information that is authentic and not purely baseless. So if you’re including facts, figures and statements from other sources that are 100% authentic and have some sort of proof or scientific backing to it, then such citations should be added to your bibliography. On the other hand information that is pulled out from gossip tabloids and gossip columns, should under no circumstances be added to your bibliography. 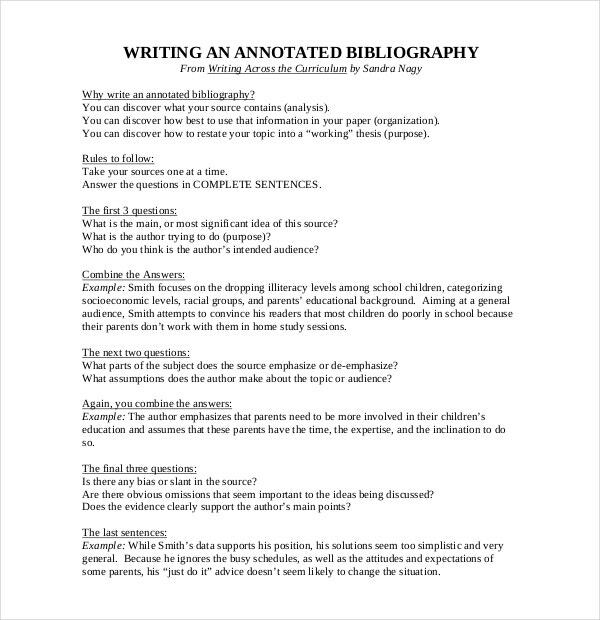 Filling up the blank annotated bibliography is a quick and easy process. All you need to do is fill in the spaces provided with the relevant information. The information includes the author’s name, document titles, publishing date, name of the publishing company, city in which the works were published and other relevant details. 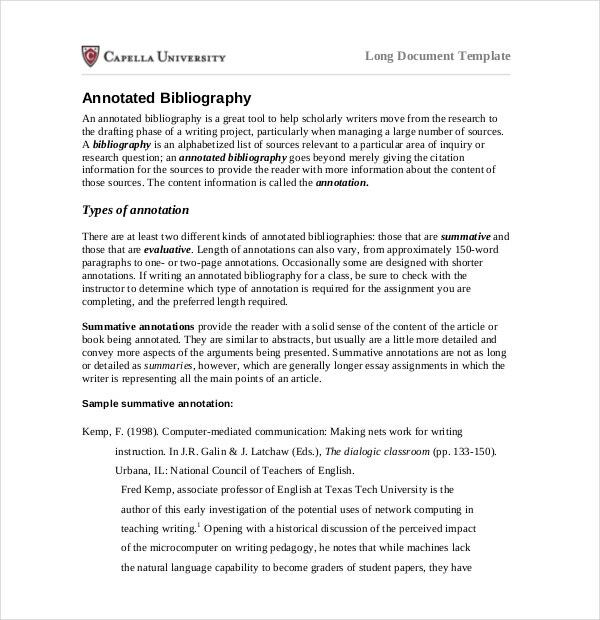 In the case of an annotated bibliography template, you also need to include a very brief description of the content, quality and usefulness of the source.